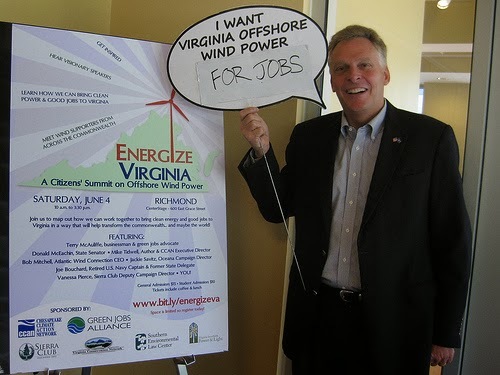 Terry McAuliffe during his campaign advocating off shore wind power. Photo credit: Chesapeakeclimate on flickr. Coal-rich Virginia, the seventh largest coal producer in the US, voted in Democrat and businessman, Terry McAuliffe, last month, as the next Governor of the state. He will take office on the 14th January 2014. He narrowly defeated Republican Ken Cucinelli, a climate denier, and on the very right wing of the Republican party, and has been an outright critic of the Environmental Protection Agency’s (EPA) efforts to regulate greenhouse gasses (GHG). Cucinelli who currently serves as the 46th Attorney General of Virginia has also used his position to attack respected climate scientist Michael E Mann when he was an Assistant Professor at the University of Virginia from 1999 – 2005. He accused him of fraud for misusing the states research grants by allegedly manipulating data. Concerns were subsequently raised by the university and fellow scientists that Cucinelli posed a threat to academic freedom and they raised a court petition in which Mann was found of no wrongdoing and the case was closed, countless times Cucinelli tried to reopen it but it was rejected. McAufliffe is quite the contrary, as a founder and former CEO of green tech company GreenTech Automotive, he is an advocate of green growth, amongst his fundraisers for the gubernatorial campaign was environmentalist billionaire Tom Steyer and the League of Conservation Voters. He says he supports renewable energy like offshore wind to reduce dependence on foreign oil and supports Obama recently announced regulations on coal power plants. In the state of Virginia, renewable energy employs more people than the coal industry, it’s evident that the people of Virginia have looked at it and said we cannot afford to elect a climate sceptic, there is clear economic growth opportunity in developing a renewable revolution, which they have witnessed have already and created a huge amount of jobs. The trend is set to continue with the right policies. Interestingly, looking at the voting stats, the majority of people who voted for McAuliffe were women and the younger generation, while the older generation stuck to Cucinelli. It’s evident that the right wing extreme sectors of the Republican Party are out of touch with what an increased number of the US population wants. The dissatisfaction with the Republicans are growing, which became evident in the recent government shutdown. As well as a host of other issues like increasing equality, less power to huge corporations and affordable health care, action on climate change and a creation of the modern green economy is now one of top priorities for young Americans. As long as the Republican Party remains in the deep pockets of big oil and coal and refuse to take even moderate action on climate change, grow renewable energy conserve the environment, safeguard clean air and water (and so the list goes on), the party will shrink it’s political power as a growing number of the younger generation know these are the issues that matter. 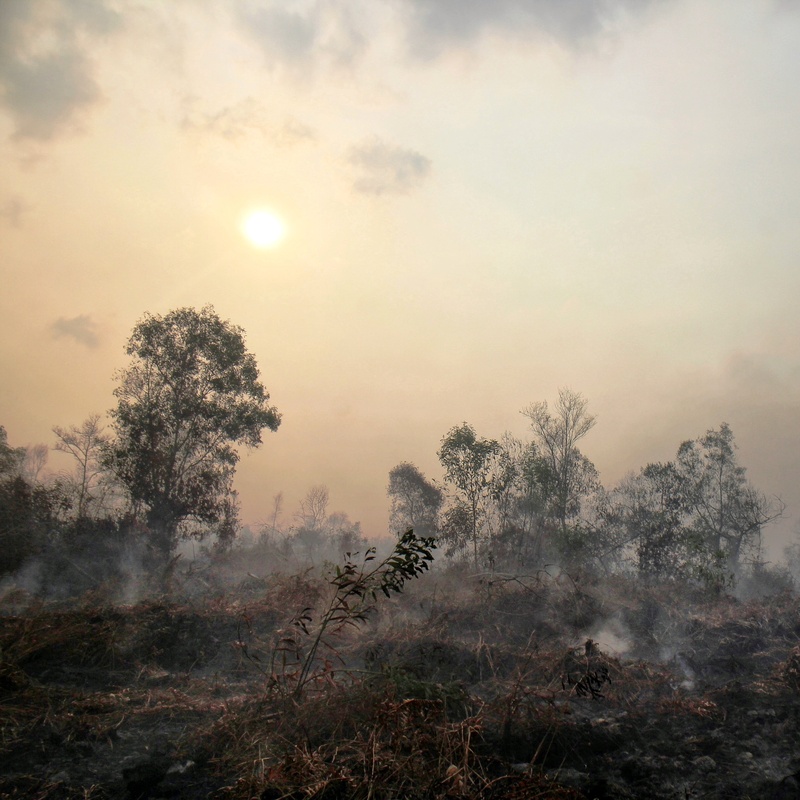 A growing number of people are also starting to understand: let the scientists do their job, it’s not a politician’s role to launch smear campaigns against them, because they find it inconvenient what they are saying.